Welcome to Villa Spring Morning! 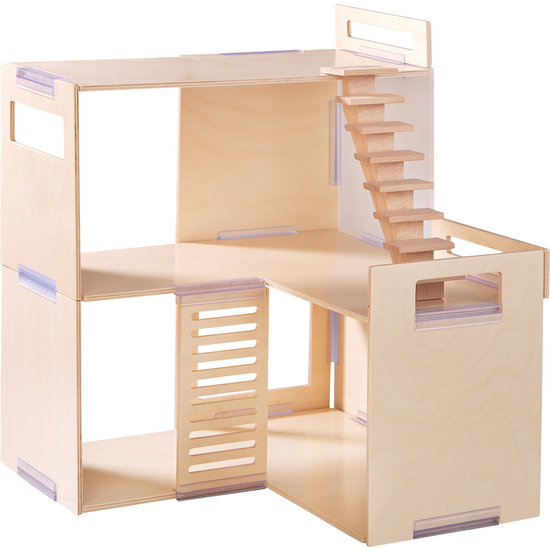 This modern dollhouse is a wonderful home for Lilli, Mali and their friends. How should it be furnished? Where is the living room and who sleeps upstairs? Children can furnish it as they wish…and change it as often as they like. The plain plywood plates are attached with plastic sliders and can be individually constructed.